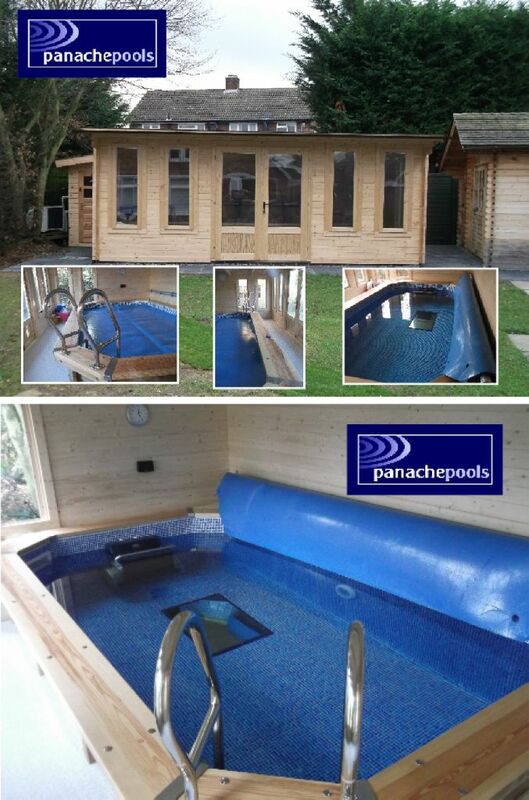 We’ll take a look at a typical Panache Pools’ exercise pool project that involved installing an Endless Summer Dolphin Sport Exercise Pool, fitted with an Endless Pools Fastlane Counter Current Unit and housed in a timber cabin. You can see various stages of the installation from the following photographs. As you can see, the garden is not particularly large. An area was allocated for the pool and cabin and as the pool was to be semi-submerged, excavation began. The concrete slab was laid and then the pool was assembled. The Dolphin Sport comes as a package, designed to be quick and easy to assemble and can be purchased as a self-build option. Anyone with competent DIY skills could install this pool themselves if they wanted to take on the project. At Panache Pools’ we are able to offer a self-build option and we then provide help and support throughout the project. Once the pool walls were assembled, the liner and pipework was fitted. The pool surround and base for the timber cabin was then laid before assembling the cabin. Again, we can erect the cabin or we offer the self-build option. The pool filter, pump and Fastlane hydraulic pack were installed in a small adjoining plant room. An air source heat pump, for heating the pool water was fitted close by. There we have it. 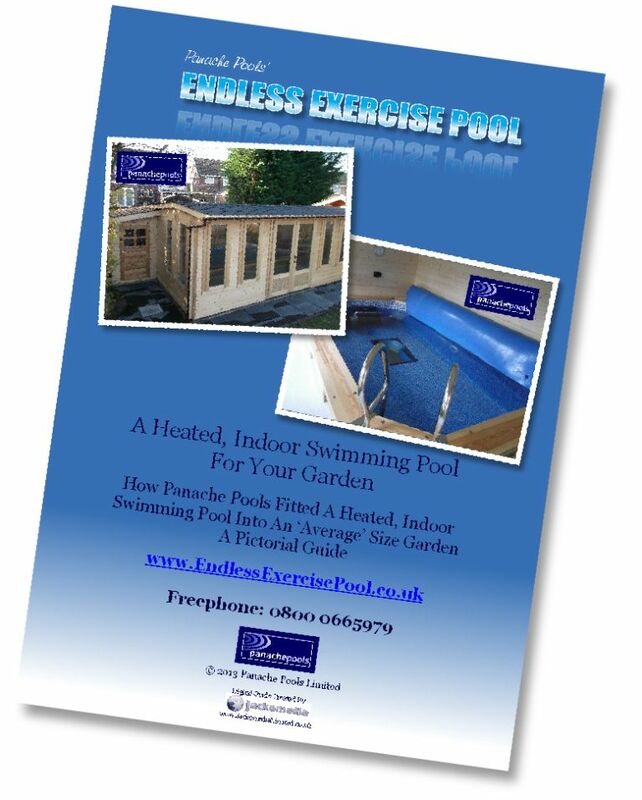 A heated, indoor exercise pool, fitted with the Endless Summer Fastlane Counter Current Unit, fitted in an ‘average’ sized garden. Our clients now have the convenience of a home swimming pool, allowing them to benefit from a daily swim, whatever the season, whatever the weather. We have put together a detailed, step-by-step project guide. You can get a free copy here, or click the guide below. At Panache Pools we can take care of the complete project or supply self-build pool packages for anyone wanting to complete their own project. We offer support and advice throughout.